Buyers and sellers thrive on their connections for success. 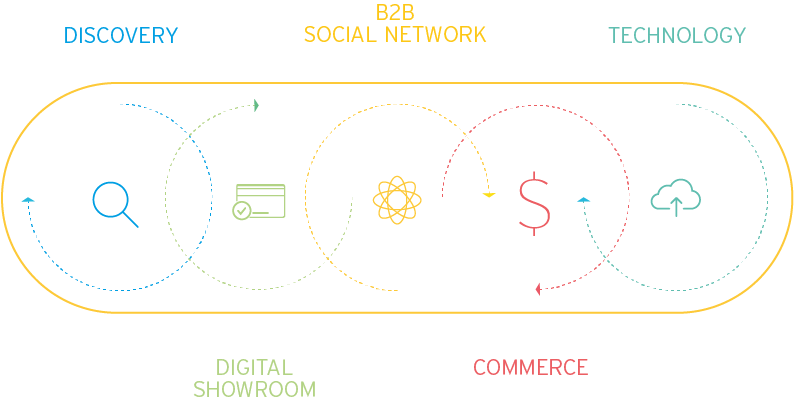 Meeting in person is ideal – but extending these connections to online is a must, and a Balluun B2B digital marketplace is the perfect place for members of your industry to do business around the clock. Whether you’re a trade show and events organizer, a business association – or a start-up looking to launch a successful and profitable online marketplace. Connect manufacturers, wholesalers, distributors and retailers – with real-time interaction and 24/7 purchasing in a secure online environment. We start by working closely with you – to thoroughly understand your industry’s specific needs. Then we create your dedicated B2B digital marketplace, based on a scalable white-label platform that gives you the ability to fully brand the final product. It’s an easy and cost-effective way to expand your organization’s reach – in just 90 days. Launching a mobile-friendly, multilingual marketplace is fast and easy, thanks to our customizable SaaS cloud technology. Our cutting-edge tools are developed in-house, and also include the market’s best-of-breed. And the modern user interface will make your members feel right at home, as everyone benefits from: all-in-one B2B digital marketplace, B2B social network, e-commerce and built-in revenue generators.